80's Neon Bead Bracelets including four neon-coloured plastic bead bracelets – Ideal for a Neon theme, a 80s theme, or any fancy dress occasion! Add the perfect finishing touch to your neon look with these fantastic Neon Bead Bracelets. These Neon Bead Bracelets include four neon-coloured bracelets. These packs of plastic neon-coloured bracelets are elasticated, and feature pink, orange, yellow and green colours. Perfect for a 80s theme, a Neon theme, a colour theme or any fancy dress occasion, these Neon Bead Bracelets will be sure to impress no matter what the occasion! 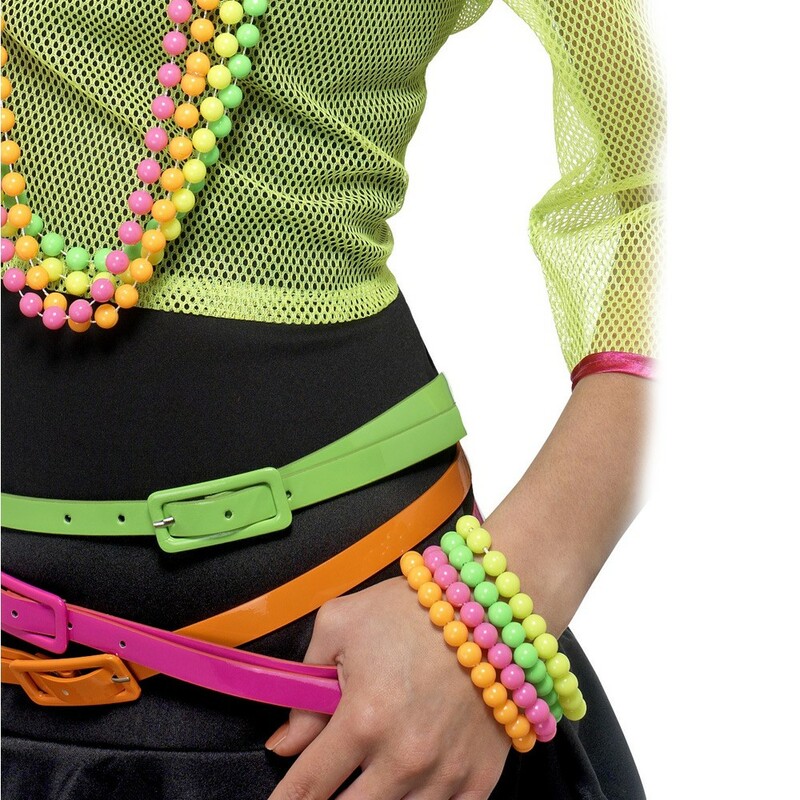 No 80s look would be complete without these fantastic Neon Bead Bracelets.